If you have been arrested for DUI or other serious traffic offense, for an appearance at the Homewood Municipal Court, you need to talk with an experienced criminal defense attorney who is an expert traffic ticket attorney. 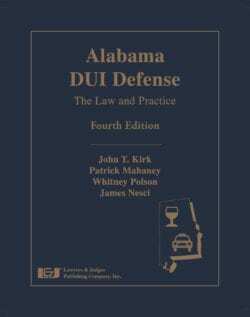 Being convicted of driving under the influence in Alabama costs you the right to drive, and puts a permanent criminal conviction on your criminal record, so fighting for a diversion or other favorable outcome is well worth the cost of a DUI lawyer. Because the first experience for most law-abiding citizens is a traffic ticket, the Polson Law Firm has helped over 10,000 clients in various municipal courts across the State of Alabama. Because the Homewood Municipal Court is in a suburb of Birmingham Alabama, the Homewood Courthouse is one of the regular locations to find our traffic ticket lawyers. 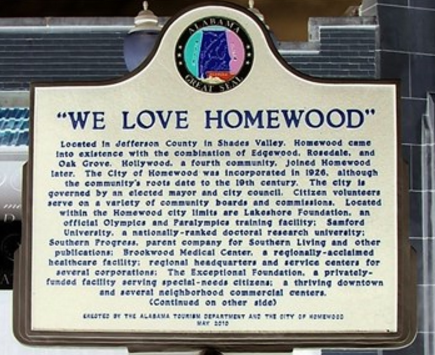 The City of Homewood was incorporated in 1926, but Homewood AL has been a community for much longer. The Mayor and Council staff and oversee the Homewood Municipal Court. The Homewood court is a source of keeping local traffic ticket revenues in the City of Homewood AL. For GPS purposes, your courthouse is located at: Homewood Municipal Court, 1833 29th Avenue, South, Birmingham, Alabama 35209. While not nearly as busy as our DUI law firm’s busiest municipal court location, Municipal Court Birmingham AL, the Homewood Court handles several hundred traffic tickets a month, including drunk driving, reckless endangerment Alabama charges, reckless driving, hit and run and other misdemeanor traffic ticket offenses. Revenues generated by processing DUI and other Alabama traffic offense cases getting resolved in the Homewood court remain in here, to support public safety, like the Homewood Police Department. Not all states have municipal courts handling misdemeanor traffic offense cases. Florida, for example, does not have municipal courts. Georgia does, as well as Mississippi. 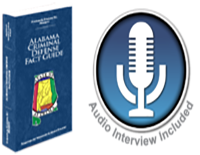 All determinations of local court existence comes from the state legislature, which has to enact laws that permit local operation of inferior courts (courts without jury trials and broad subject matter jurisdiction), such as the municipal courts in Alabama, as one of the last vestiges of local rule. Generally, the larger the City, the larger the number of cases and revenues from such traffic ticket arrests. In Alabama, Birmingham traffic, as a hub of several Interstate highways, generates thousands of traffic tickets for the Birmingham Municipal Court. This same Birmingham traffic may (at some point) cross a city limits line into Homewood, Hoover, Vestavia Hills, or Bessemer or other Alabama suburbs, and then ant traffic citations get booked into those courts, such as the City of Homewood Alabama. Similarly, the Atlanta Municipal Court is Georgia’s busiest municipal court in that state. Many other cities have set up courts similar to the Homewood Courthouse, like Roswell Municipal Court, Sandy Springs Municipal Court, and Alpharetta Municipal Court in GA. By having this two-court system, your Alabama DUI lawyer can try to get a favorable deal for you at the municipal court in Alabama, before moving some cases to a jury trial court. At Polson Law Firm, we offer a FREE lawyer consultation. Why not get a no-obligation initial, professional case assessment from an Alabama Super Lawyer? To schedule a FREE review of your case by a highly-experienced traffic ticket lawyer, either complete this FORM: fill out the form here or call us 24/7 at (205) 222-4544.